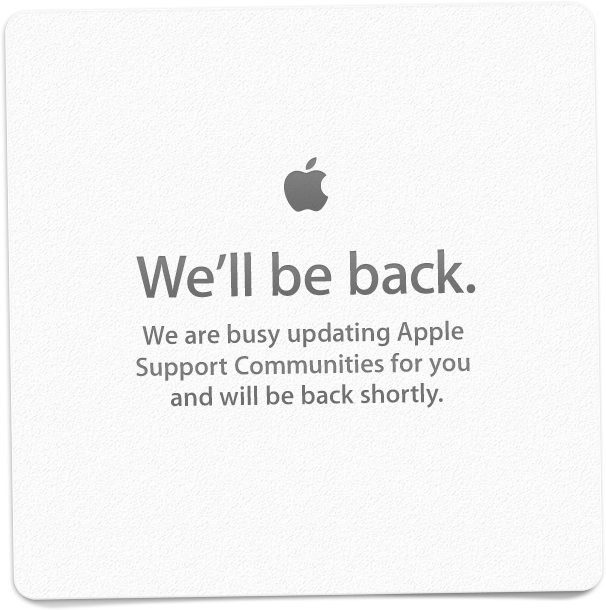 I saw this message in lieu of an Apple Support Communities page. It looks sharp on a Retina screen here because its scaled 50%; the original graphic was stretched like it was living in 2009. Also note the skeuomorphic paper, a term likely 90% of tech pundits didn’t know prior to iOS 7. Maybe this graphic is one of the things Apple is busy updating.